The Tridon FlexBlade® design and construction ensures increased performance over traditional steel blades, using unique flexor strip to deliver even pressure distribution across the windscreen. Using high quality natural synthetic rubber upper body, natural rubber wiping edge with protective rubber coating, Tridon FlexBlades provide a smooth, low noise wiping performance and ensure extended rubber life and UV protection. 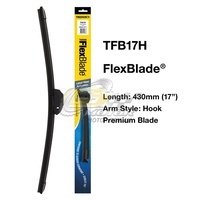 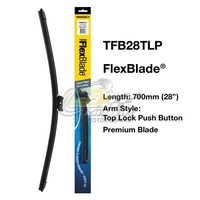 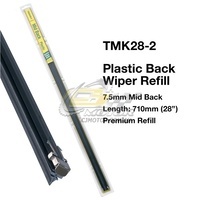 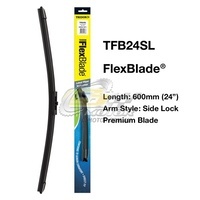 The Tridon FlexBlade® must be compatible with the vehicle wiper system; the TFB wiper range is available in 5 arm styles, including direct fit replacement and hook upgrade from conventional steel blades. The range has been carefully researched and engineered to suit each specific application. NOTE: Hook upgrade applications are only recommended for vehicles manufacture after 2000. Please refer to the Tridon Part Finder for the correct Tridon FlexBlade® for your application. 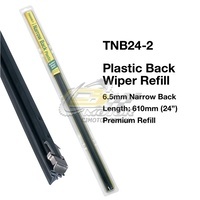 Make 4 interest-free payments of $4.46 fortnightly and receive your order now. 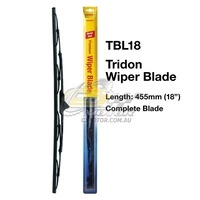 TRIDON WIPER PLASTIC BACK REFILL PAIR FOR Toyota Estima/Lucida 05/90-12/99 28"
Make 4 interest-free payments of $8.77 fortnightly and receive your order now.